Review: 2012-03-23, close and breathtaking fight thanks to a great performance by both fighters: Patricky Freire vs Lloyd Woodard gets five stars and is a candidate for Mma Fight of the Year 2012. Patricky “Pitbull” Freire (10-2-0) entered as the No.33 lightweight in the world while Lloyd Woodard (11-1-0) entered as the No.64. 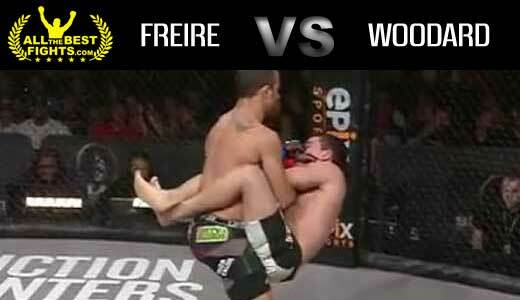 Freire vs Woodard is the quarterfinal of the Bellator Lightweight Tournament (Bellator 62). Watch the video!